At NIA’s 61st Annual Convention in April, a group of dedicated safety professionals and other individuals with an interest in safety gathered to discuss the latest safety developments. Topics discussed included the new serious injury reporting rules established by the Occupational Safety and Health Administration (OSHA) on January 1, 2015, questions about safety enforcement, the need for a competent person on each job site, construction industry confined space, and predicted upcoming actions by OSHA. 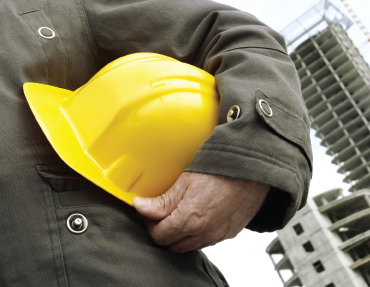 OSHA’s new injury reporting rule went into effect on January 1, 2015. Prior to January 1, 2015, an employer had to report all accidents requiring the hospitalization of 3 or more employees within 8 hours of learning of the hospitalization or fatality. The new rule expands the reporting requirement. Now employers are required to report any accident that requires the hospitalization for treatment to any employees within 24 hours of learning of the hospitalization, as long as the hospitalization occurs within 24 hours of the accident. A similar requirement exists for all amputations and for the loss of an eye. All fatalities must still be reported within 8 hours as long as the fatality occurs within 30 days of the accident. The participants discussed the expectations of OSHA as well as the need for employers to carefully evaluate any potentially qualifying injury against the reporting criteria before calling it in to OSHA. As NIA’s General Counsel, I strongly suggested that employers use the electronic reporting option whenever considering calling in a qualifying injury as opposed to making a “live” telephone call. The options for the employer who has an injury that must be reported to OSHA are to call it in to the local OSHA area office during normal business hours, call the injury in during off-business hours using the OSHA 800 number, or reporting it electronically. Employers should note the information OSHA will require and then call it in on the 800 number after normal hours or report it electronically. In this way the employer can provide the information required without entering into a discussion of the situation with a compliance officer in the local area office. In a live call, the employer may find itself defending its actions or inactions or being asked information beyond that which is normally required. This can lead to speculation and guessing by the employer and the receipt of incorrect information by OSHA—either of which can lead to accusations later. Of course, even the controlled first report will almost always lead to a follow up, but that may be either a request for a detailed report or an onsite inspection. Another topic of discussion was the need for objective safety enforcement. Many employers apparently have difficulty enforcing their safety rules and program. Concerns were raised about the difficulties faced with obtaining and keeping a good workforce. While employees may not thank an employer for taking disciplinary action against those who violate a company safety rule, the employer may well be saving an employee from death or a serious injury by making sure that all employees comply with all safety rules. The real problem is that after the serious injury or fatality, it is too late to try to avoid fines, penalties, and lawsuits with the argument that the employee violated a safety rule when an employer has not taken steps to enforce safety rules up until then. If safety is important enough to necessitate having safety rules for employees, then it is important enough to enforce those same rules objectively and consistently. OSHA also looks at many things concerning an employer when determining whether to cite for a safety standard violation. One of those considerations is to determine if the employer is acting in a reasonably responsible manner. This determination may also enter into settlement negotiations as well at a formal hearing on citations that are being contested. It is difficult to predict what might be considered important in defining the reasonably responsible employer. Employers should look at safety as an integral part of getting the job done. It does not matter whether a business is being inspected under the General Industry or Construction safety rules—it has to be apparent that the employer is taking the safety of employees seriously. This is not something that can be invented or created at the time of a compliance inspection; it has to be something you live with and emphasize every day. While having appropriate safety rules is important, enforcing them and ensuring that all employees are in compliance with those rules is just as important. The conclusion from this discussion is that employers need to have easy to understand and objective enforcement programs that are applied consistently. It is important, however, to remember that the main concern should not be passing an OSHA inspection, but rather, the safety of employees. Properly designed safety rules are not established to get a good result if a business is inspected; they are designed to protect employees. If an employer establishes a detailed set of rules that place a premium on worker safety, then compliance with them will truly protect the workforce. If this premise is true, then it is equally true that failure to comply with them will pose an imminent risk of injury to your employees. This means that an employer that is permitting employees to ignore those rules or to take shortcuts is knowingly permitting them to put their lives in danger. It is important to remember that every supervisor who is supposed to enforce those rules is the employer’s agent; if they permit shortcuts or rule violations, then the employer is permitting those violations. This is why OSHA expects employers to hold supervisors to higher standards than non-supervisors. While OSHA’s competent person requirement may not appear to have an application for employers, the concept—which is only enforced under the Construction Industry standards—has importance to all employers. It is always a good idea to have someone who meets the definition of a competent person under the Construction standards in every work area. Having someone in a work area who is aware of the safety rules and standards that apply to the work being done, has the ability to recognize new hazards that may arise, and the authority to take immediate corrective action to protect employees full time in the work area or on the work site, is another mark of a “reasonably responsible” employer. The requirement for an employer to have a competent person frequently and regularly visit all jobsites is one that continues to raise questions for the construction industry. It is important to remember that OSHA requirements are personal in a certain corporate sense—an employer cannot rely on another contractor’s competent person to fulfill the requirement for frequent and regular visits to the jobsite by a competent person. The requirements for a competent person include knowledge of the safety standards and rules that apply to work being done, the ability to recognize all hazards as they arise on the jobsite, and the authority to take action to protect employees from those hazards. While putting an employee through an OSHA 10-hour or 30-hour course is commendable, it may not by itself provide the training necessary for the employee to be considered a competent person. One of the most significant OSHA developments is that fines will be going up significantly on August 1, 2016. As predicted, OSHA announced on June 30, that it will take advantage of the maximum increase permitted by Congress and increase fines consistent with that authority. The maximum fine for other than serious violation and serious violation will increase to $12,471 and the maximum fine for repeat and willful violation will increase to $124,709. OSHA maintains a set of rules that require employers to maintain records (the OSHA 300 log) and to list all injuries that are recordable under the OSHA rules as they occur. There are several important points regarding the current rules for injury recordkeeping. First, only employers who have 11 or more employees working for them in a calendar year are required to maintain these records to record all on-the-job injuries and illnesses. In general, the rules require employers to record all lost time and restricted duty cases as well as any injuries that require treatment beyond first aid. A summary of these records (the OSHA 300A form) must be posted by all employers required to maintain the logs from February 1 each year through April 30. OSHA has been contemplating making such records more public for a number of years. In May of this year, OSHA issued a final rule that will require many employers to file the OSHA 300, 300A, and the OSHA accident report form—the OSHA 301—electronically with OSHA on an annual basis. The final rule, which goes into effect on January 1, 2017, requires all employers with between 20 and 249 employees to file only the OSHA 300A annually starting with July 1, 2017, and all employers with more than 250 employees to file all 3 forms annually starting July 1, 2018. The records will be accessible, with employee-identifying information redacted, through the OSHA website. There are some in the industry that believe this new rule is intended to embarrass employers into being more safety conscious. The thinking is that since employers will be listing at least their incident rate and lost time from injuries for anyone to see, they will want to bring the number in recordable injuries down. Beginning July 1, 2018, employers that have more than 250 employees will also be posting a list of all of the kinds of injuries employees have suffered as well as each OSHA 301 (the accident investigation report) for each of those injuries. This information will provide detail to OSHA that in itself could result in an OSHA enforcement inspection. This detail might also come to the attention of plaintiffs’ attorneys who may be mining for just this kind of information to find new clients. Many employers use their own Accident Investigation forms that frequently contain information that goes beyond that required on the OSHA 301. Employers should carefully consider the information on the forms they are using to the extent that it goes beyond that which is required on the OSHA 301 to determine if they wish to make all of that additional information public. While the extra information might be helpful to an employer’s safety professionals in evaluating an accident in order to prevent similar accidents in the future, they have to consider whether they would want all of that to appear on the OSHA website. One additional add-on by OSHA to this new rule is language prohibiting actions by all employers that may cause employees to not report accidents and/or recordable injuries for fear of disciplinary action. This portion of the electronic recordkeeping rule applies to ALL employers—no matter their size. In March of 2012, OSHA published a memorandum that stated some forms of employer conduct that OSHA would consider to possibly be OSHA or safety discrimination under Section 11(c) of the Occupational Safety and Health Act (Act). Included in this list were things such as the employer taking disciplinary action of any kind against an employee for failing to follow the employer’s rules for reporting an on-the-job injury. OSHA has taken the opportunity in the electronic reporting rule to make these types of prohibitions an enforceable OSHA standard under the Code of Federal Regulations. This anti-retaliation language was to go into effect on August 10, 2016, but has been postponed until November 1, 2016. The language would require employers to educate all employees on the fact that no action will be taken against them for reporting a recordable injury or disease. The rule requires all employers to provide such training (this could be accomplished by posting the 2015 OSHA poster). While the effective date for the rule has been postponed, OSHA has demonstrated that it is taking such possible discrimination seriously. It recently filed for a permanent injunction against U.S. Steel to have its injury reporting rules and the accompanying disciplinary actions for not following them declared a violation of Section 11(c) of the Act. While employers now have more time to comply with this aspect of the rule, it is advisable to ensure everything is in order to comply by the deadline. The new rules mean employers may have to change certain aspects of their business operations—particularly if they want to avoid the new, higher penalties OSHA can now give out. The following information from NIA General Counsel Gary Auman is to provide an update on the requirements set forth in OSHA’s commentary on the new electronic reporting rule, otherwise known as the Revised Recording and Reporting Occupational Injuries and Illnesses regulation. In May 2016, OSHA issued a final rule that revises the Recording and Reporting of Occupational Injuries and Illnesses regulation. This final rule, which in general is effective on January 1, 2017, requires certain employers to electronically submit the injury and illness information they are already required to keep under existing OSHA regulations. It does not change, however, an employer’s obligation to complete and retain injury and illness records. The final rule also includes provisions that prohibit employers from retaliating against workers from making such reports. The anti-retaliation provisions that were to become effective on August 10, 2016, have been delayed, and enforcement will begin November 1, 2016. There is some question as to the enforcement of these anti-retaliation provisions. Up until this new rule becomes effective, the only redress an employee had because he or she alleged that they were discriminated against by their employer because of engaging in protected activity was by filing a complaint alleging discrimination under Section 11(c) of the Occupational Safety and Health Act. Now there will be an argument that OSHA can cite an employer for violation of Title 29 Code of Federal Regulations Section 1904.35(b)(1)(iii)(B) and (iv). If OSHA is able to take advantage of this enforcement, an OSHA compliance officer will be able to cite the employer for violation of this section as a serious, other than serious, or willful violation, which if not vacated, will obligate the employer to abate as well as pay a fine. Abatement may require rehiring the discharged employee with back pay. While the anti-retaliation provisions require educating employees on their rights to report on-the-job injuries and illnesses without fear of retaliation by the employer, the commentary that accompanied the final rule includes other cautions for employers. OSHA has raised a concern with mandatory or blanket post-accident drug testing. OSHA explained that to obtain the appropriate balance, drug-testing policies should limit post-accident testing to situations in which employee drug use is likely to have contributed to the accident, and for which the drug test can accurately identify impairment caused by drug use. Therefore, an employer is not required to suspect drug use before testing, but there should be a reasonable possibility that drug use by the reporting employee was a contributing factor to the reported injury or illness in order for an employer to require drug testing. In taking this position OSHA also addressed concerns that the final rule could potentially prevent an employer from complying with the requirements contained in workers’ compensation laws. In response, OSHA explicitly stated that such concerns were unwarranted. It further stated that “if an employer conducts drug testing to comply with the requirements of a state or federal law or regulation, the employer’s motive would not be retaliatory and the final rule would not prohibit such testing.” This is especially true because 29 U.S.C. 653(b)(4) prohibits OSHA from superseding or affecting workers’ compensation laws. None of the commentary extends to whether requirements of a workers’ compensation insurance policy that creates a mandatory drug testing requirement would also be exempted from these concerns. Employers should be aware that the commentary addressing mandatory drug testing is just that—a commentary. Essentially, OSHA is stating that it will look with suspicion at any mandatory post-accident drug testing program as a potential violation of Section 11(c) of the Act. At this time, whether you review and/or revise your current post-accident drug testing program is a business decision, not a compliance decision. But, you need to be aware that this commentary when coupled with an official OSHA memorandum on March 12, 2012, demonstrates that OSHA is concerned about any actions employers may take that in any way, directly or indirectly, may cause employees to hesitate or refuse to report on the job injuries or illnesses because of fear of retaliation by the employer.